The most exciting thing about living in Europe is being able to travel to neighboring countries. How lucky am I to be in Berlin in just a 1 1/2 hour plane ride? Well more than I knew! My idea of Berlin was that it was grungy and cheap but I don't know where I heard that because it's such a lovely city! It has beautiful architecture, interesting interiors, the food is delicious and my goodness, the farmers markets!!!!! It was a real delight to be there so I wanted to share my tips. Kollwitzplatz Kollwitzstraße, in Prenzlauer Berg was my favorite because it had an artisan tofu stand where we tasted smoked tofu, chorizo tofu and dill tofu. Really beautifully crafted and inspiring and so fresh that it puts all other tofu to shame. You guys in Berlin are lucky to have Tofu Manufaktur in your city!! Tofu aside, they had a variety of fruit and vegetables, chocolate stands, pottery and food. Definitely a must visit! Markthhalle Neun - this indoor market was filled with food, fresh produce and the best cheesecake stand run by a mother-daughter team. We saw cheesecake sold all over Berlin and ate many of them but this was by far the best and most fresh: white chocolate and raspberry cheesecake, much lighter than your New York cheesecake (from our conversation with them, we understood that they used quark instead of cream cheese) and gently sweetened, like most of the baked goods we ate. The Sunday Flea Market - very many things to score if you have the patience! Prenzlauer Berg - a cute hip area with many boutiques, cafes and restaurants and record shops (my husband was in heaven -- there were at least 5 on Kastanienallee! 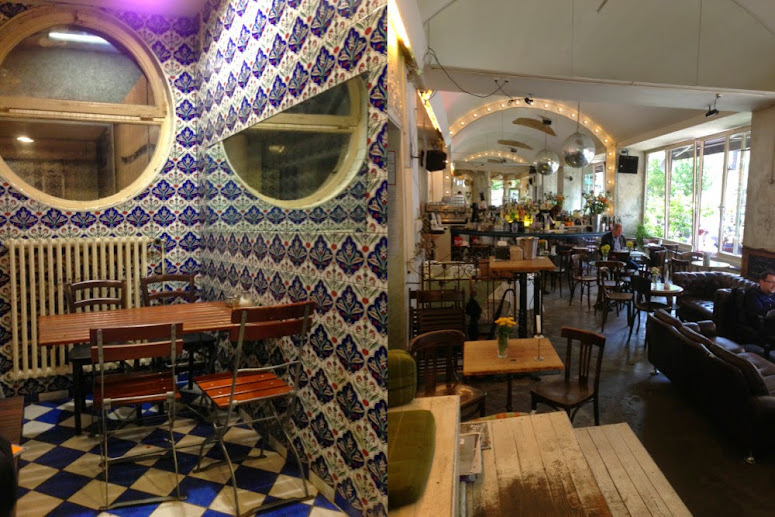 Babel Kastanienallee 33 - the best Middle Eastern food we ate! A huge platter of all vegetarian dishes from fried halloumi, grape leaves and hummus to babaganoush and roasted cauliflower! What a dream. And so affordable, and it's just lovely to sit out on the benches and watch the people go by. Mr Hoang Kastanienallee 38 - really affordable and quick Vietnamese food. Definitely try the pho xao Mr Hoang. Mitte - also a cute area with lots of adorable cafes and restaurants. Alpenstück Schröderstaße 1 - lovely bakery for a breakfast consisting of freshly baked goods, boiled eggs and cheeses -- definitely going back there next time! And do try this amazing pastry that is so buttery that it melts in your mouth! Yum! Confiserie Orientale Linienstrasse 113 - a little piece of Istanbul in Berlin -- a modern Turkish cafe with sophisticatedly sweetened baked goods and strong coffee. 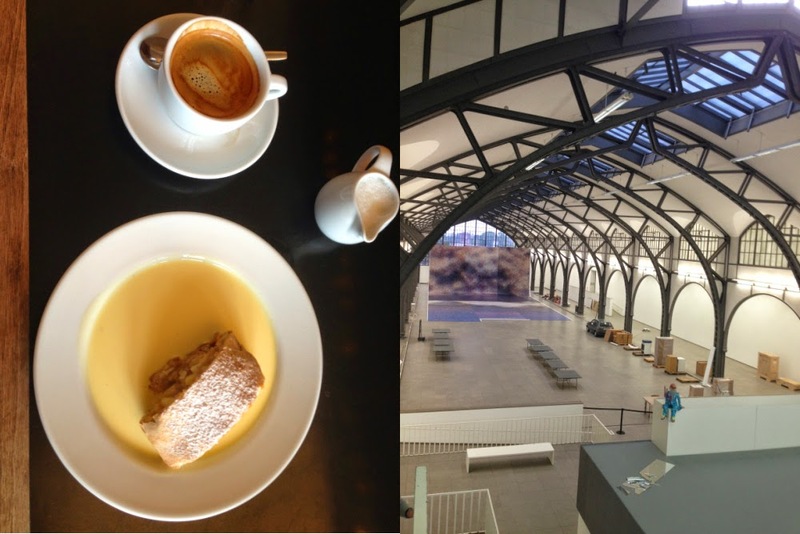 Hamburger Bahnhof museum - one wouldn't go to a museum thinking they'd be eating the best dessert on their trip, but that's what happened to us when we went to the cafe called Sarah Wiener in the Hamburger museum. They had a lot of cheesecakes and pies to offer, but we noticed many people ordering the apple strudel with custard, so we too ordered it and it was one of the highlights of our trip! It seemed like the strudel was freshly made on the premises and we loved how gently sweet it was, making it a very sophisticated dessert. The museum itself is in an old railway station, so it's makes for beautiful photos as well. The Berlin Wall - it was intense to read about the time before the wall fell. It's crazy to think that this happened so recently. Chay Viet Brunnenstraße 164 - really delicious all vegetarian Vietnamese food -- saying that, definitely try their bibimbap and savory pancakes! They have two locations to choose from!